With Colorado’s history of blazing a path towards the adoption of more natural gas vehicles (NGVs) for state fleets across the United States, it’s natural that the State government is showing commitment by bolstering its fleet. 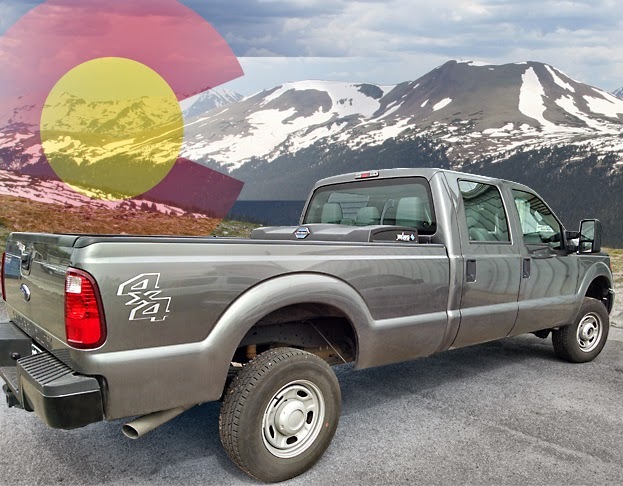 State Fleet Manager Ron Clatterbuck, says that by the time vehicles purchased in 2014 are received, Colorado will operate 237 NGVs – including 40 Westport WiNG™ Power System bi-fuel Ford F-250 pickup trucks. Ron says that most of the fleet is located near Denver, Boulder and Colorado Springs, but there are also vehicles servicing departments on the ‘Western slope’ near Grand Junction. “We are really thrilled to have compressed natural gas (CNG) vehicles in our fleet – and that we’ve been able to bring the numbers up in the fleet in the past couple of years, and hoping to be able to continue to do that – particularly as we see more types of CNG vehicles available,” says Sabrina D’Agosta, Director of Policy and Communications, Colorado Department of Personnel and Administration. In addition to Bill SB13-070, Colorado Governor John Hickenlooper together with Oklahoma Governor Mary Fallin spearheaded a multi-state memorandum of understanding (MOU) in 2011, designed to increase the use of natural gas vehicles in each state’s fleet. Since then, Arkansas, Kentucky, Louisiana, Maine, Mississippi, New Mexico, Ohio, Pennsylvania, Texas, Utah, Virginia, West Virginia, and Wyoming have joined the effort. State personnel in several departments are driving NGVs including Natural Resources, Transportation and Human Services. In all, ten state agencies currently have one or more NGVs. “State employees have been open to trying them out and have commented that the vehicles have been able to perform their duties without a problem, and in some cases, better than they had anticipated,” Ron says. While staff are pleased with the NGV performance, Ron adds that some would prefer smaller CNG tanks so they can carry more equipment, and that the State would is looking forward to more stations being built. “Overall, State employees who drive these vehicles have been pleased with their performance,” he says.